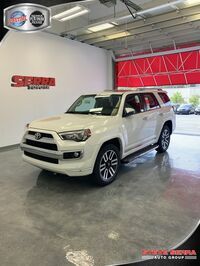 The Toyota 4Runner is back for a new model year and we're gearing up to tell you about all of the exciting features and updates that this model offers drivers. For 2018, the 4Runner will offer a range of six different trim levels from which drivers can choose. 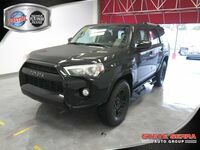 These model grades include the SR5, the SR5 Premium, the TRD Off-Road, the TRD Off-Road Premium, the Limited, and the TRD Pro. 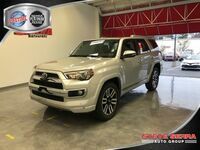 Each of these trim levels features unique equipment and stylistic details, letting drivers customize their 4Runner to fit their specifications. 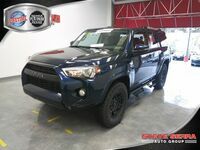 The full-size 4Runner gives drivers access to a stunningly designed exterior and masterfully crafted interior. 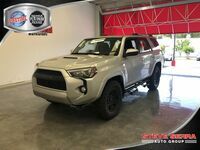 You'll find 40/20/40 fold-flat second-row seats so you can customize the interior cabin of your 4Runner to accommodate anything you may need to take with you on your next road trips. 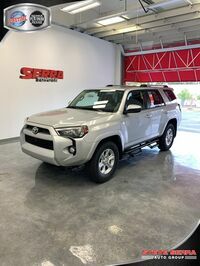 The 4Runner has available three-row seating alongside its already impressive standard dimensions so that you can bring whomever you want on your next journey. With this update, you can accommodate up to seven passengers. What is new for the 2018 Model Year? 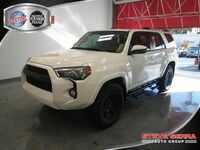 The new model year offers drivers the option between eight different exterior color options for their 4Runner. All models will come equipped with a standard 4.0-liter V6 engine that can produce 270 horsepower. This engine will give you incredible power and helps you to adventure farther in the 4Runner. 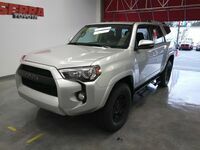 The 4Runner also offers two different four-wheel drive systems to help increase traction, even in tougher conditions. These work to help you maintain control and help you to have better handling while driving. Want more information on this model? Click the RESERVE NOW button that is located above and fill out the available form. Once you do that, one of our friendly staff members will contact you with details. If you have questions on the process, or about the model itself, please contact our dealership for more information.